Work smarter, not harder - including on the farm, which are embracing robotics and technology. Some dairy farmers are deploying new robots that make milking cows more efficient and timely, freeing up time for workers to conduct other tasks. Two machines cost $640,000 and necessary barn renovations increased the total cost up to $800,000 before milking even began. 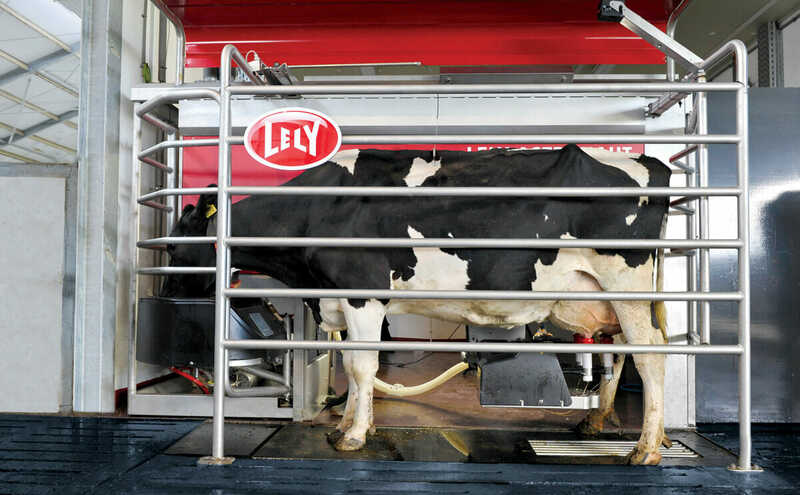 Now, farmers feed the cows at the same time, but they are able to be milked on "their own schedule," with help from the LBJ Farm Equipment Lely robotic milking machines. The machine is able to read a custom collar, identifying each cow, ensuring it is time for them to be milked - if a cow enters the stall too early, it is guided out of the machine. The machine has a set of brushes that clean and air dry the teats before the milking process begins, then the machine uses lasers and a 3D camera to know the proper location of the cow. The Lely machine also tracks the cow's weight, temperature, and other vital information to help farmers verify each cow is healthy.